Dr Michele Bruniges AM has been appointed Secretary of the Department of Education and Training. Dr Bruniges has more than 25 years’ experience in the education sector and has been leading the NSW Department of Education since 2011. Senator the Hon Simon Birmingham, Minister for Education and Training, welcomed Dr Bruniges’ appointment, acknowledging her impressive range of experience and sterling track record as an educator and leader. Read more about Dr Bruniges in Minister Birmingham’s Media Release. A successful skills standards validation workshop was held in Ho Chi Minh City, Vietnam from 1-4 March 2016 as part of a DFAT-funded Government Partnerships for Development (GPFD) project. The project aims to help build capacity of government vocational education and training ministries in the Philippines and Vietnam in engaging industry in the development of occupational standards. Led by the Department of Education and Training, in partnership with Australian industry organisations, the project provided an opportunity to share Australia’s experience and expertise in building better linkages between the training system and industry. At the workshop in Ho Chi Minh City, government and industry representatives from Australia, the Philippines and Vietnam discussed and validated common core occupational standards in four industry sectors with twenty four invited industry stakeholders across the Philippines and Vietnam. These sectors are aquaculture, automotive, civil construction and manufacturing. The project group also shared key learnings and experiences on the challenges and solutions to industry engagement throughout the process and identified how the project might inform future work. The occupational standards are currently being finalised. A communication and engagement plan will also be developed to feed the learnings and standards back to industry stakeholders across the three countries. The project, which will conclude in June 2016, will contribute to greater skills training, skills recognition and labour mobility not only across the three countries, but also across ASEAN more broadly. For further information about the project, please send your enquiries to InternationalSkills&VET@education.gov.au. Right - Government representatives from Australia, the Philippines and Vietnam participated in the GPFD skills standards validation workshop in Ho Chi Minh City from 1-4 March 2016. Left - On 2 March, 24 industry stakeholders from the four targeted industry sectors across the Philippines and Vietnam participated in the standards validation sessions. The industry stakeholders were split into four industry groups after an introductory session and discussed the occupational standards the project team had developed. Right - Australian industry expert from the automotive sector facilitated the validation session with industry stakeholders from the Philippines and Vietnam. 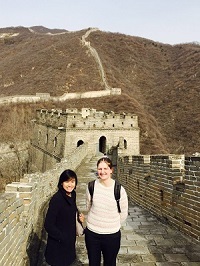 Australian Apprenticeships Ambassadors Melinda Lethbridge and Rachel Bacon visited China from 5–12 March to celebrate International Women’s Day at a number of events showcasing Australia’s national training system. The programme of events included addressing high school and tertiary students, education staff, and central and provincial government representatives in Beijing, Chongqing, Chengdu and Shanghai; providing an overview of their own experience with vocational education and training and the benefits of undertaking an apprenticeship as a career pathway. Melinda and Rachel were treated to tours of Beijing Polytechnic, Chongqing College of Electronic Engineering, Chengdu Aeronautic Polytechnic and Shanghai Information Technology College, all of which are top 100 key vocational colleges in China. The speaking tour was sponsored by the Australian Training Awards and the Australian Government Department of Education and Training and supported by QANTAS and Hargo Engineering. Did you know that an Australian Apprenticeship can be a passport to a better job, a higher pay packet and an exciting and rewarding working life? Attend an interactive panel discussion with Australian Apprenticeships Ambassadors who know first-hand the value of investing in an Australian Apprenticeship. Ask them questions and explore their apprenticeship insights. Want to learn all about vocational learning and VET being delivered to secondary students? Learn about the Preparing Secondary Students for Work framework and its complementary resources through this interactive panel discussion with VET practitioners, school students undertaking VET qualifications and Australian School-based Apprentices. Need to know what skills and training tools, resources and information products are available through the Department of Education and Training? Find them and learn how to use them effectively in an interactive session. Like to see where innovative and quality training meets industry needs? Take a tour of Crown College and its incredible facilities including the purpose-built Culinarium and its award winning training kitchen and restaurant. Have your questions answered at an interactive and informative day that the Australian Government Department of Education and Training is hosting at Crown Metropol Melbourne on 25 May as part of the 2016 CDAA Conference. Register or find out more on the CDAA website. Single day registration is available. The Australian Industry and Skills Committee met in Sydney on 21 and 22 March 2016. Senator the Hon Scott Ryan, Minister for Vocational Education and Skills, addressed the Committee, highlighting the importance of communicating the value of a strong, responsive training system to individuals, businesses and the economy. As part of its discussion of strategic priorities for the next 12-18 months, the Committee acknowledged that, since its establishment, it has provided an industry-based perspective on the implementation of a number of key reforms within the VET sector. The Committee also acknowledged that the close working relationship between the AISC and the Skills Senior Officials Network will continue to provide opportunities for the Committee to influence the implementation of future policy and reform initiatives. The Committee confirmed that their key priority for the remainder of the 2016 calendar year was to bed-down the new industry-led arrangements for training product development. In particular, given the critical role of the IRCs in driving the process for developing and maintaining training packages, the upcoming review of scope and membership of the IRCs would work to ensure that these committees are effectively supported to undertake their new role. The Committee endorsed for implementation a further eight training packages, taking the total since their establishment in May 2015 to more than 40. Further information about the AISC and its business, training packages, both approved and scheduled, IRCs contact details and transition to the new arrangements is available at the AISC website. If you have employees in the 45-54 age bracket, chances are they are one of your business’s most valuable assets. The Skills Checkpoint Pilot provides an opportunity for employers to support their staff to understand their current skill set and develop an individual career training plan that can assist them achieve their career aspirations. Supporting older workers in this way can increase the likelihood that these valued people will remain in the workforce for many years to come. Investing in your existing workforce by supporting staff to upskill and realise their employment goals doesn’t necessarily mean losing a valued staff member. Taking a longer term view which supports the development of Australia’s workforce is a positive step to ensuring your business will have access to highly skilled and well trained employees into the future. The Skills Checkpoint pilot ends in May 2016. Encourage your staff to consider accessing the diverse range of free career advice services offered through three providers across the ACT, NSW, Queensland, Victoria and WA. To find out more, including how your employees can access this service, please go to the Skills Checkpoint web page on the Australian Government Department of Education and Training website. On 8 March 2016, Senator the Hon Scott Ryan, Minister for Vocational Education and Skills, announced the launch of the Preparing Secondary Students for Work website, which includes the new interactive VET self-assessment tool for schools. The tool developed in collaboration with key stakeholders from schools, industry and training sectors will help schools to plan, implement and review its VET programmes. The website also contains important information “that will assist schools and employers to more effectively work together, directly benefitting students both in the short and long term,” Minister Ryan said. Check out the online tool and website, read Minister Ryan’s Media Release or attend a practical workshop on 25 May at Crown Metropol Melbourne. Register on the CDAA website. Single day registration is available. SkillsOne’s recently-launched channel, Heating, Ventilation and Air Conditioning, provides videos and information about career opportunities in the diverse and complex Air Conditioning and Mechanical Services industry. Visit the new channel to learn more about the many technical jobs at the cutting edge of technology, environmental and energy efficiency issues. 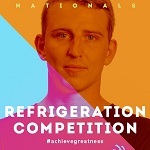 In just one month’s time, ten of Australia’s best young refrigeration apprentices, trainees and students will take on the ultimate industry challenge, the 2016 WorldSkills Australia National Refrigeration Competition in Melbourne. The competitors will have just 18 hours to demonstrate that they have the best refrigeration and air conditioning skills and knowledge in the country. Read more about the competition. An opportunity exists for a Procurement Coordinator to join the WorldSkills Australia team. The Procurement Coordinator will be responsible for assisting with the identifying, sourcing and securing of equipment and materials required and schedule procured equipment for delivery and return to ensure the successful delivery of the 2016 WorldSkills Australia National Competition, Melbourne. The position is based in Melbourne CBD location and is a full-time, 6 month contract. Candidates must have excellent communication, presentation and interpersonal skills, high computer literacy and possess excellent administrative and time management skills. For more information or to obtain a position description, please contact 03 9249 1000 or info@worldskills.org.au. With over 4 million USIs already created, an increasing number of Australians will already have a USI when they next enrol in training. The USI Office is currently trialling a new search tool which will enable RTOs to help students to find their existing USI. Please note that RTOs will still need the student’s permission prior to using this function. Before trying to create a USI on behalf of a student, RTOs can use this simpler search tool to first determine if the student already has an existing USI. This will ensure training outcomes are recorded against the correct USI. If RTOs have been having trouble verifying a student‘s USI, trying this simplified search tool may help retrieve the correct USI information for their student. For more information on how to use or access this new search tool, please refer to the USI website. The Australian Training Awards have engaged Velg Training to host webinars for two of these direct entry categories. The webinars, to be held in early May, will be hosted by 2015 Excellence in Language, Literacy and Numeracy Practice Award Winner Lyn Wilson and 2015 international Training Provider of the Year Winner CHARLTON BROWN ®. Applications for the direct entry awards close on Tuesday 31 May 2016. For more information including the webinar dates visit the Australian Training Awards website. The latest release of apprentice and trainee data published by the National Centre for Vocational Education Research (NCVER) provides a picture of apprenticeship and traineeship activity nationally and by state and territory. The release shows there were 295 300 people undertaking an apprenticeship or traineeship at the end of September 2015, a decrease of 13.7% compared with the same time in 2014. Previous NCVER research has shown that a subdued labour market and the uncapping of university places have an impact on the number of people entering into apprenticeships and traineeships. A wide range of research on apprenticeships, traineeships and other issues is available on the NCVER website. The Australian Training Awards is seeking to establish a panel of evaluators to support the judging process for all organisational categories and the Lifetime Achievement Award. The panel will be active for a period of three years. Documentation is available on request from australiantrainingawards@education.gov.au. The NSW Government is offering $1,000 Jobs of Tomorrow Scholarships with an approved Smart and Skilled training provider to students who commenced training in areas related to science, technology, engineering or mathematics (STEM) on or after 1 January 2016. More information about the scholarships is available on the Smart and Skilled website. 8 April - Applications close for the 2016 AOF scholarships. These scholarships enable Australians between the ages of 21 and 31 who have completed a trade apprenticeship or vocational traineeship to Certificate III level to travel and work overseas. Read more about the scholarships and the application process. SIR Retail Services Training Package V2.0 (Retail Components). These training packages are now available for download on training.gov.au. The mandatory Companion Volume Implementation Guides for each training package which provide advice, guidance and mapping documents to support the implementation of the training packages are also available. Please note that as responsibility for these training packages has now shifted to SkillsIQ, the Skills Service Organisation appointed to support the Industry Reference Committees responsible for these training packages, all enquiries should be directed to enquiries@skillsiq.com.au. Tenderers will be invited to submit a response to one or more of the services listed in the RFT. ASQA can procure services from panel members if, and as, there is a requirement. Questions about the tender are to be submitted after the tender has been published. Details of when to send questions will be published in the RFT on AusTender. ASQA will provide notice of the publication of the RFT on its website. RIIWHS404D Implement and monitor health and hygiene management systems. Each Assessment Toolkit contains an Assessor Guide and a Candidate Guide. Learn more about the Toolkit and the special offer. Read the latest news from SkillsDMC and subscribe to their newsletter. National Youth Week and World Health Day both take place in the second week of April. Be inspired by the achievements and contribution of three young Australians in health, care and community services. Megan Cox believes it’s a privilege to assist people to remain as independent as possible in their later years. Commencing an Australian School-based Apprenticeship in aged care when she was 16, she undertook two years of combined college studies and on-the-job training as a personal carer. Megan found the health care services industry was perfect for her and in 2010 she won the ACT School-based Apprentice of the Year Award and was a finalist at the Australian Training Awards. She completed a Certificate IV in Aged Care Work with her Australian School-based Apprenticeship and a Diploma of Nursing at the Canberra Institute of Technology and is now a qualified Enrolled Nurse. Megan works as a Care Manager at a Goodwin Aged Care Facility in Canberra and has gone on to undertake a Diploma of Management to develop her skills further. Read more about her experience. Louise Galey became interested in health promotion when witnessing her stepfather’s struggle to give up smoking. Successfully applying for a Northern Territory Government traineeship in population health, Louise moved from Tasmania to Darwin and was the first person to undertake the Certificate IV in Population Health traineeship in the Northern Territory. Her work contributed to her team’s nomination for a Northern Territory Chief Minister’s Award in 2011 and in 2013 Louise was both the Northern Territory’s Trainee of the Year and a finalist in the Australian Apprentice (Trainee) of the Year category at the Australian Training Awards. Louise says the traineeship gave her a nationally recognised qualification while learning skills from people with years of experience in the field and shows that there are more options than going to university or straight into a job after school. Read Louise’s story. Caitlin Maher’s passion for caring for the elderly grew while undertaking an Australian School-based Apprenticeship with BlueCross Willowmeade aged care residence. She began a two-year Certificate III in Aged Care during Year 10 and balanced it with the remainder of her Victorian Certificate of Education. The Australian School-based Apprenticeship was a stepping stone for Caitlin to undertake a Bachelor of Nursing at university, allowing her to get a taste of working in the real world and explore her individual skills. She believes this experience in the industry will be an advantage. A Finalist at the 2014 Australian Training Awards, Caitlin plans to complete university, work as a paediatric nurse in Melbourne, then travel and nurse overseas. Read about Caitlin and watch her at work in The Aged Care Worker: Caitlin's Story. The 2016 conference theme is Putting VET research to work: collaboration, innovation, prosperity. As well as presentations from many passionate VET researchers and workshops dealing with some of the ‘difficult’ research issues, you will hear from the following keynote speakers: Professor Joe Lo Bianco, Associate Professor Ruth Schubert, Mr Chris Robinson, Dr Damian Oliver and Mr Peter Noonan. AITD's Annual National Conference is a highly regarded event for providing delegates with high quality, dynamic presentations on an exciting range of innovative topics. We will be exploring technology, learning strategy, innovation, social and collaborative learning, leadership, talent development and more. Pre-conference workshops are available on 4 May. The Department of Education and Training is hosting an interactive and informative day filled with a selection of workshop sessions and panel discussions which will provide participants with an in-depth overview of Australian Apprenticeships and the Australian Apprenticeship Support Network, the Preparing Secondary Students for Work framework and its concepts as well as a demonstration of tools, resources and information products available to VET practitioners and students through the Department. The 26th Annual National Conference of the Career Development Association of Australia (CDAA) will explore the way that Science, Technology, Engineering and Mathematics (STEM) are promoted as key pathway opportunities. 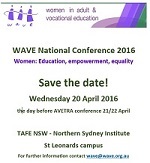 Keynote speakers for the conference are Mr Mark McCrindle, Ms Maxine McKew and Dr Joanne Earl. Early Bird Catches the Worm special pricing offer ends 31 March 2016! Registrations to attend the 2016 Australian Training Awards presentation dinner event will open 1 July 2016. Register your interest by emailing australiantrainingawards@education.gov.au. Several Australian Apprenticeships and Traineeships Information Service information sessions have now been scheduled. Further sessions will be announced shortly for Darwin, Sydney, Wollongong, Perth, regional Victoria, Launceston and Hobart. The sessions cover: the information and resources on the Service’s websites and the newly released AusAppPathways mobile app that helps jobseekers and students to explore apprenticeship and traineeship pathway options that interest them. The one hour sessions are provided free of charge under funding from the Australian Government Department of Education and Training. To book into a session go to the website or call 1800 338 022. Keep all of your trade documents in one secure location that you can access anytime, anywhere, from any mobile device with TradePapers. This app allows you to take and store up to 10 images of licenses, tickets and other documents as well as 10 additional reminders directly into the app. TradePapers costs $2.99 to download. In-app purchases are available for greater storage and more reminders, while a premium version to be released in coming weeks lets users upload documents and images directly from their computers. Download TradePapers. Our workshop on Business Case Writing is suitable for anyone who wishes to develop a clear case for business decisions. You will learn how to define the parameters, risks and management factors involved within the project, and lay out a lucid and persuasive argument in favour of your case. Read more about the workshops and available dates. The SKILLS BITES channel, a series of social media videos depicting skills and trades in 15–30 second videos, has been created to get people excited about vocational careers. Watch the videos or contact SkillsOne to request information about having your own SKILLS BITE video created. If you would like to provide feedback, supply an article for inclusion in the next edition or join our list of subscribers, please email skillsatwork@education.gov.au. The next edition will be published in May 2016. Submissions are due by Friday 15 April 2016.